What is there to not like about salsa? Served with a bowl of chips, freshly prepared salsa is summertime magic. While fantastic all on its own, salsa is also an excellent companion to grilled meat and fish. Salsa is especially good on my morning eggs, and if you give me time, I’ll probably find a way to pair it with dessert, too! When I make salsa, I always ensure a few ingredients hit the grates before they hit the bowl. It’s just one more way to add flavor and texture to the final dish. For this recipe, grilling helps take the edge off the red onion and in turns makes it a sweet addition. 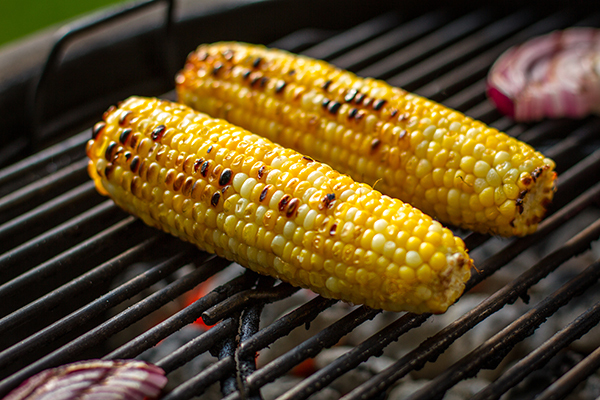 For the corn, the heat of the grill not only cooks the kernels but provides char and a hint of smoke. 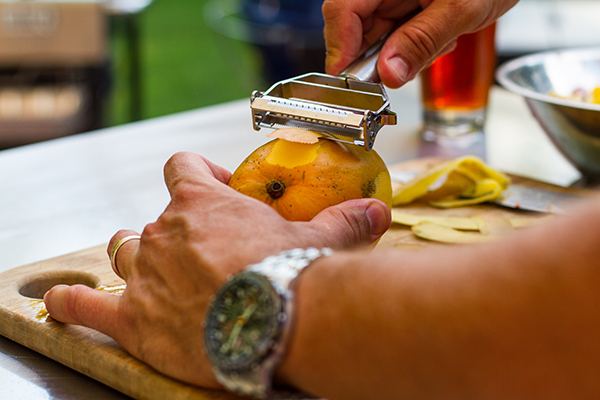 The best part of salsa making is there are no rules. Don’t like mangos? Try pineapple! Want more heat? Add a serrano pepper! Salsa too chunky? Throw it in the blender! Follow these tips and your salsa will be better than anything found in a jar. 1. 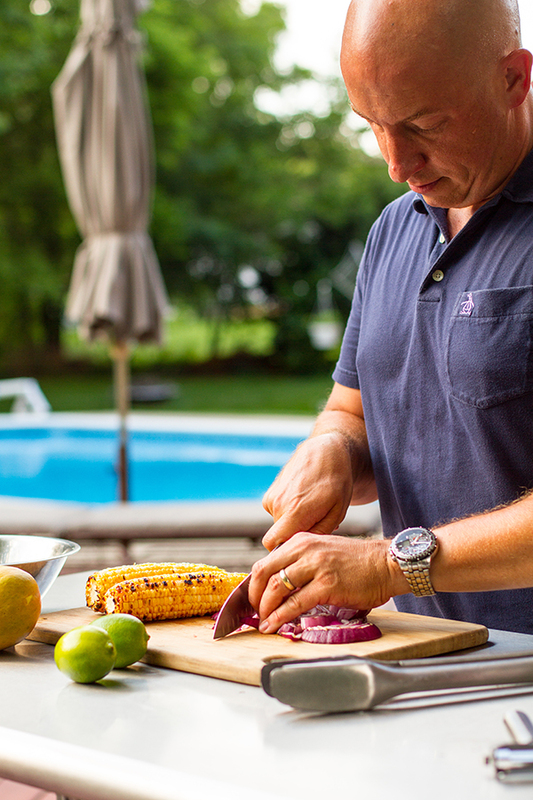 Lightly brush the corn and red onion slices with olive oil. 2. 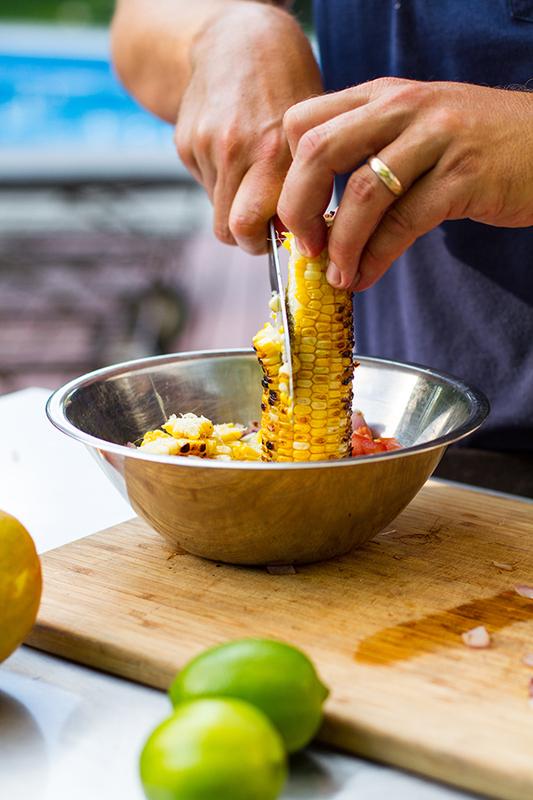 Grill the corn over direct medium heat (350-400 F) for approximately 10-12 minutes, rotating multiple times. 3. 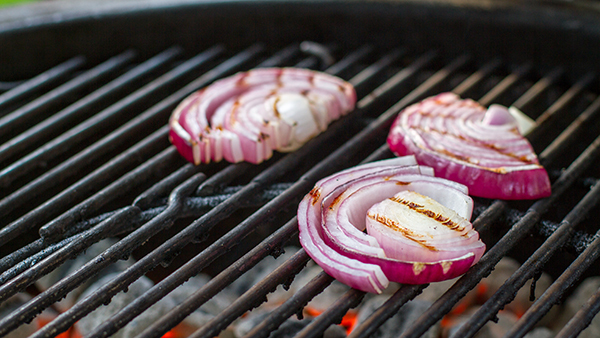 Grill the red onion over the same heat for approximately 4-5 minutes, flipping once. 4. Place the ear of corn, vertical, in a small bowl and with a knife, slice off the kernels. 6. 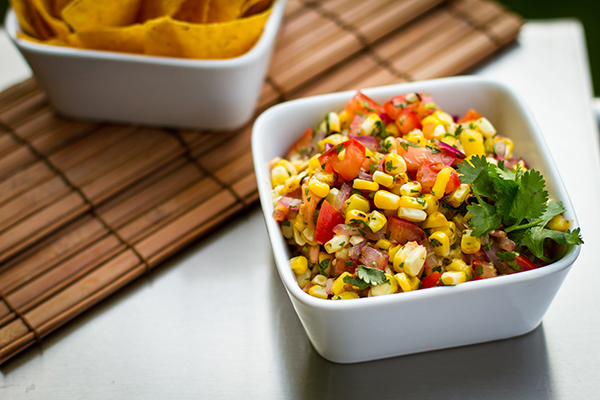 In a large bowl, combine the corn, red onion, tomatoes, mango, cilantro, lime juice, and lime zest. 7. Stir well and add kosher salt and freshly cracked pepper to taste.